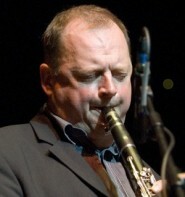 Two of the leading saxophonists on the UK jazz scene – Alan Barnes and Gilad Atzmon – are in town next Tuesday, 6 June, for Jazz Hastings’ regular monthly session at the East Hastings Sea Angling Association on the Stade. Julian Norridge describes what waits in store. The Blockheads are coming to town! Yes the same Blockheads that used to back Ian Dury and who, since the great man’s death in 2000, have been touring regularly with most of the original line-up, performing both an awesome back catalogue and their own new material.